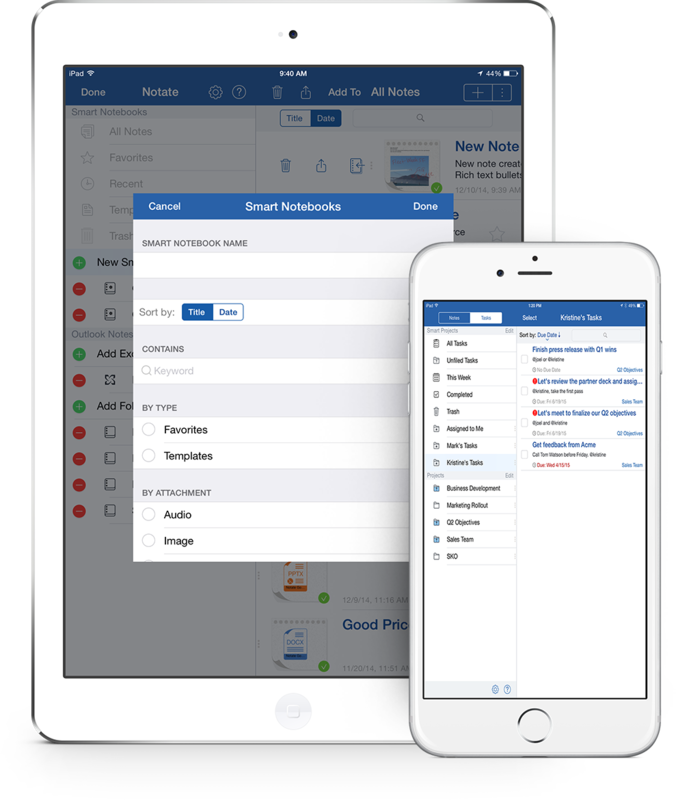 Notate helps you get organized and stay productive. 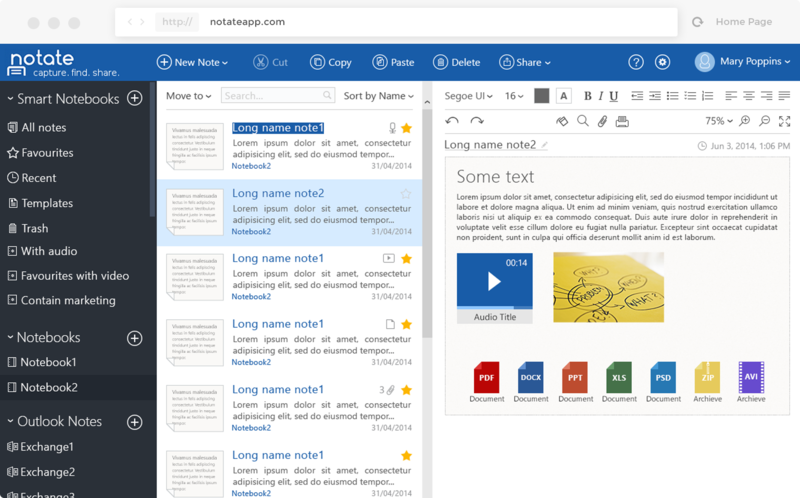 Notate allows you to capture, organize and share all your ideas. All information remains secured within your own network. No additional servers are required. Share and Collaborate with colleagues. 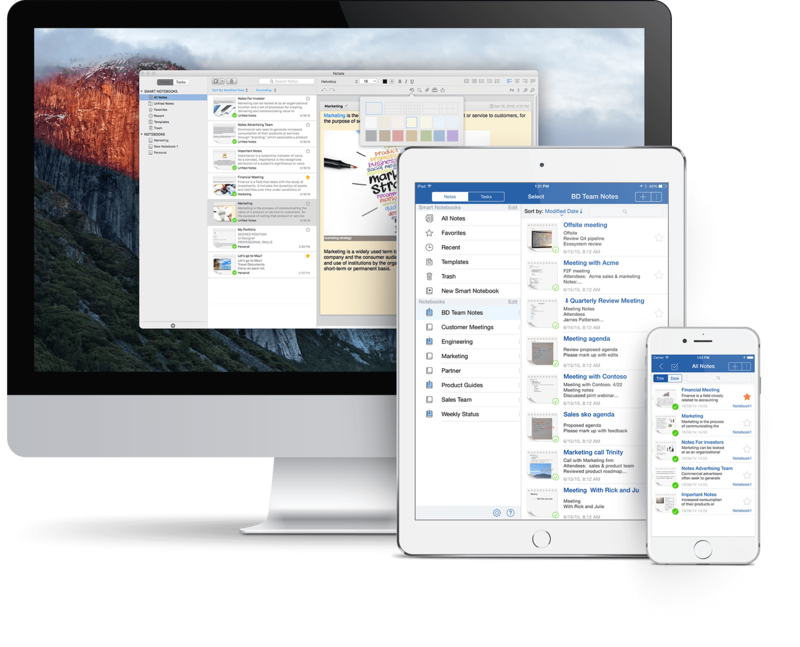 Notate is part of the 4-app Productivity Suite. 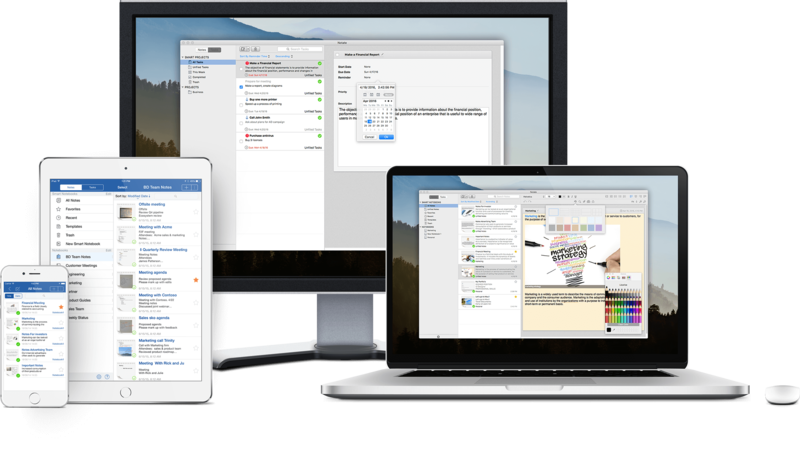 Notate empowers productivity for individuals and teams. Always available, everywhere you go. Any platform, online or offline, your content is always there. With Notate you can collect everything that matters knowing that you’ll always be able to find it back easily. Sketch or write with stylus, including iPad Pro and Apple Pencil support. Data is encrypted with enterprise grade security. No data ever resides in the cloud and is instead synced and backed up via a secure tunnel to the corporate Exchange server. Evernote like features to extend your brain. Group workspaces for shared ideas. 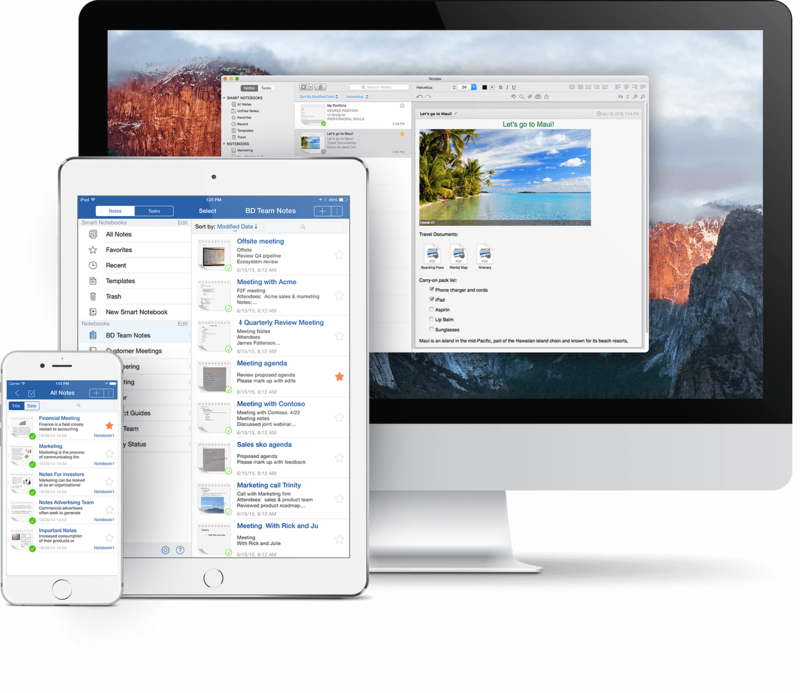 Capture documents, audio, images & more. Your data remains secure on your network. Secure access to information online and offline.